Microsoft Surface Pro 6 is a popular Surface device that packs a powerful performance on a slim and lightweight form factor. It’s a great mobile working station that you will want to carry it with you most of the time. 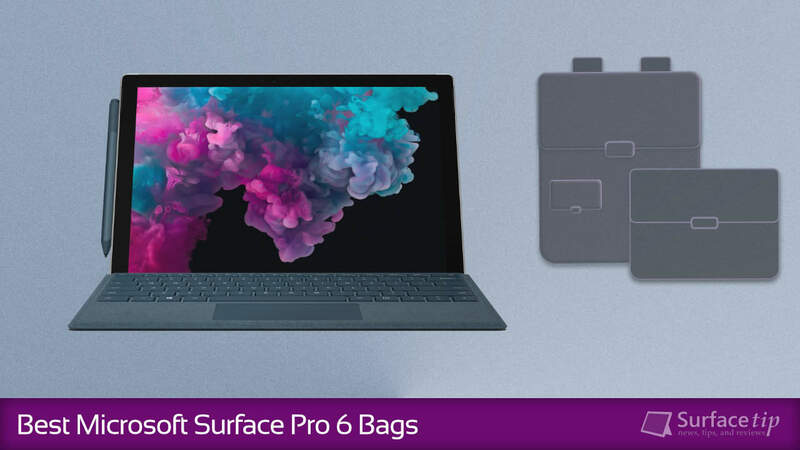 About that, you will also need a nice and well-protected laptop bag to secure your Surface Pro 6 while you’re on the move as well. There so many laptop bags out there that you might have a hard time to pick a perfect one that fit well with your Surface Pro 6. We’ve researched on that, and today we will show you about our compiled list of messenger bags, briefcases, and backpacks in term of best protection and fashion for Surface Pro 6. Perfectly fit and protection for Surface Pro 6 and its accessories. Secured backpack with plenty of rooms for your essentials. Lightweight design with padded interior and multiple pockets. 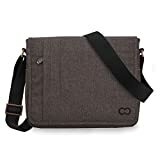 This Leaper canvas messenger sling bag is a small & lightweight for keeping your stuff, including your Surface Pro 6, tablet, smartphones, and other stuff. It’s best for school, walking around town, traveling, hiking or biking. It’s available in 2 sizes, the large and the medium one. Measured at 9.4*12.4*3.4 in (L*H*W) for the medium size is large enough for your Surface Pro 6. 1What are the dimensions of Microsoft Surface Pro 6? Microsoft Surface Pro 6 has dimensions (WxDxH) of 11.50” x 7.9” x 0.33” (292 mm x 201 mm x 8.5 mm). 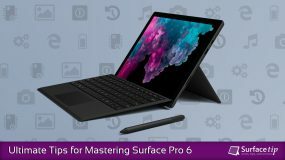 2How much does Surface Pro 6 weight? 3What are the dimensions of the Microsoft Surface Pro Type Cover? The official Surface Pro Type Cover has dimensions (LxWxH) of 11.61” x 8.50” x 0.19” (295 mm x 216 mm x 5 mm). 4How much does Surface Pro Type Cover weight? The official Surface Pro 6 Type Cover is weight at 0.68 lbs (310 g). 5What are the benefits of a laptop backpack? Easy to carry your laptop around. Distribute the weight equally to your both shoulders. Has better protection to your laptop. 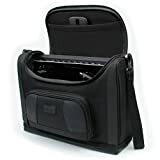 Normally, it has many compartments, pockets, and slots where you can easily store your laptop, tablet, phone, accessories, and other stuff. We appreciate hearing your thoughts, questions, and ideas about “The Best Surface Pro 6 Bags in 2019”. Please post respectful comments and on topic. We will be replying back to you as soon as possible. Share your idea about "The Best Surface Pro 6 Bags in 2019".